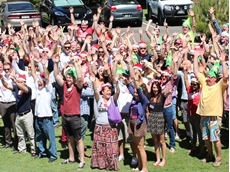 Members of Supply Chain and Logistics Association of Australia Queensland spent their annual Christmas party for the fourth consecutive year with a twist. If you are looking to realise the full benefits of your significant investment into SAP technology then do not miss out on attending US guest speaker Christopher Haydon's presentation at the Mastering Supply Management SAP 2005 conference, on August 29. As the vice president for marketplace operations for global leader Quadrem, Christopher Haydon will be presenting a paper on Extracting Value from e-Initiatives - Lessons Learned from Practical Implementations. Haydon will speak about how Quadrem's customers are using SAP and e-marketplace solutions to deliver value to the supply chain, specifically around e-catalogues, e-sourcing and supplier connectivity. The session will discuss emerging trends and will detail the benefits to both sides of the supply chain. On the buy-side, companies cite production reliability as well as hundreds of thousands of dollars in savings per month due to efficiencies and ability to meet early payment deadlines. Suppliers gain cash flow management benefits from the compressed order to payment cycle, as well as new business opportunities and a lower cost of doing business. Originally from Queensland, Australia, Chris Haydon joined Quadrem as its first employee in December 2000. He has been working in the United States since then and is responsible for Quadrem's eMarketplace applications and operations. Further information is available from the Logistics Association of Australia (LAA).